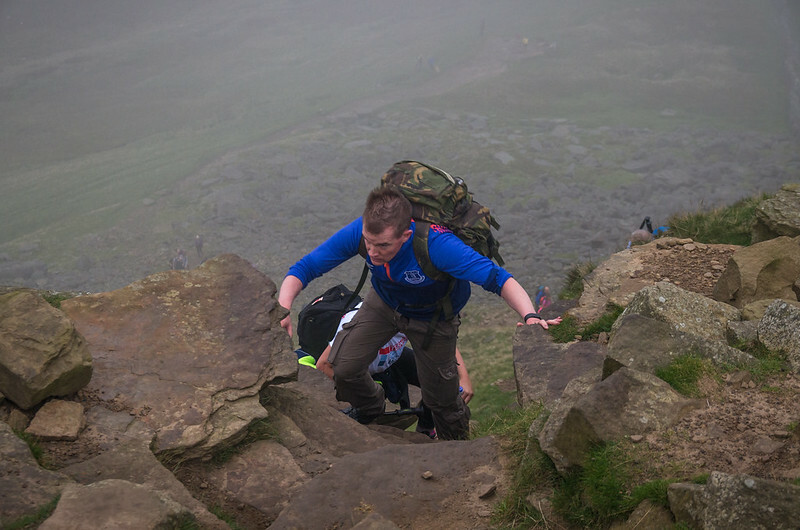 So this isn’t my usual post but as I wish I’d done more research before I did it, I wanted to offer another view to the Three Peaks Challenge. For those who don’t know, there’s three ‘three peak challenges’ ironically. 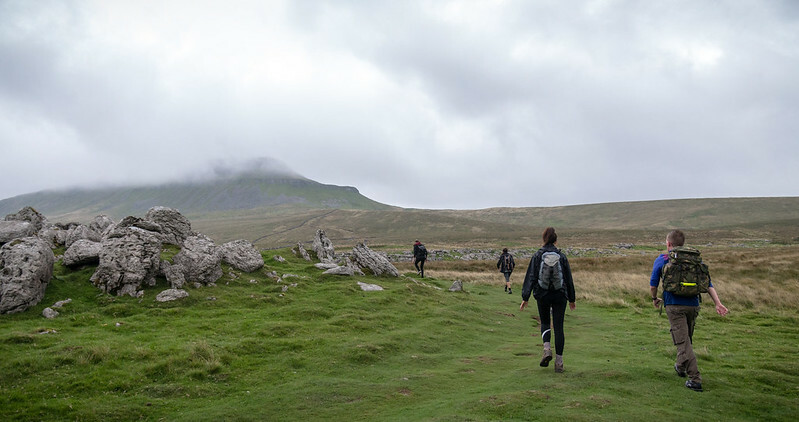 The National Three Peaks Challenge, the Yorkshire Three Peaks Challenge and the Welsh Three Peaks Challenge. 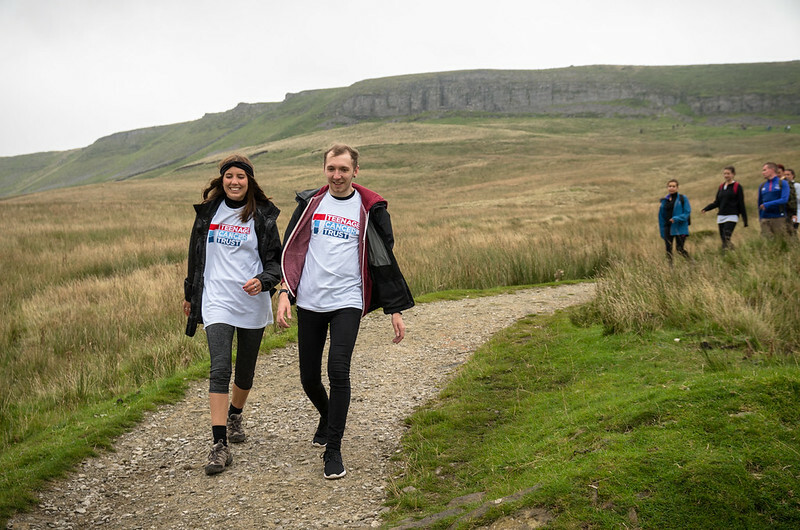 We (team boohoo) decided to take on the Yorkshire Three Peaks Challenge for our chosen charity - Teenage Cancer Trust. As I’m here writing this post, I made it through but now I’ve done it, I wanted to share my two cents. Growing up in the countryside, walking long distances is no stranger to me, plus I trained pretty hard for the Manchester 10K earlier this year. And luckily although I put my body through a hectic lifestyle, it bounces back pretty well. We did one peak’s worth the week previous to ‘warm up’ but unlike a 10K run where you can put in weekly sessions and it’s over in a hour - the challenge involves you walking 24 miles in under 12 hours which you can never fully prep for. So off we went. We left Manchester at 5am-ish, arriving as the sun was rising just after 7am where we ‘clocked in’ at the cafe (they monitor when you come back so you know if you officially ‘did the challenge.’ There was about 30 of us in total and for the 1st peak we were all together as a group. We ascended the Pen-Y-Ghent peak surprisingly quickly. I won’t lie and say it was easy - it wasn’t. I consider myself quite fit but it’s my breathing I struggle with, and so did others in my team. It’s an okay incline up until the final 10-15 minutes where the so-called ‘walk’ turns into an actual climb. This was made 10x more dramatic with the foggy weather we were experiencing so I wouldn’t recommend looking down if you’ve a fear of heights. It’s also pretty exposed when you’re climbing each rock deciding which ‘route’ you’ll take so definitely take your time at this bit and let each person clear their section before heading up yourself. This was the peak that I felt most scared of whilst climbing. Was it the hardest? No, but the sheer drop below made me think ‘oh god, what are we doing?’, but who wants to give up at the first hurdle? Not me. Part of us thought that it would be a simple up down, up down, up down job. Oh no, that was not the case. The decline from the 1st wasn’t a struggle and was probably the most picturesque in between stage over pretty bridges, lakes and farm houses. However it was a good couple of miles before you reach the walk up to the next peak - Whernside - which is in fact, the highest of the three. We stopped off at the pub before climbing up this bad boy. I used this point to break out some food to re-fuel and did contemplate jumping on the nearby trains that were driving past. If it wasn’t for charity, I think I’d have been more swayed to do so. But after a sandwich and popping about 4 energy tablets, off we went again. Before I did the challenge, I’d heard a lot of rumours about which peak was the worst. I feel like it depends on each person. Everyone I’d listened to had said the first was the easiest and I do agree, but, was it also the easiest because we did that first when we had the most energy? Possibly. Whernside was the longest incline - it was a slow but steady way to the top and more of a gradual incline situation, which I’m not sure I’m a fan of, as I like to get the pain over as quickly as possible. So we used this time to distract ourselves with a few games to pass the time. 80% of this incline is stone steps which make me never want to use stairs or steps ever again. I had to take a few 10 second breaks on this one before finally getting to the top where by this point the fog had cleared but the wind was battering. It’s flat for quite some time at the top of this peak before you decline and this was definitely the worst decline out of all three. I’ve never seen or climbed down anything like it and a guy injured himself quite badly falling down it so definitely take your time on this one - heck even sit down and push yourself down step by step because it’s really not worth rushing yourself. There’s another lengthy walk before the final peak however there’s a snack bar en route where you can briefly refuel before what, in my eyes, was definitely the worst out of all three. Again, maybe that was down to it being the last because it wasn’t the highest. The first part is through fields and a gradual incline before you’re met with what seemed like an unclimbable mountain. I seriously considered bowing out at this point as you could see people at the top were ant-size and there was no seeable way up. This is one that you definitely need the strength for, both physically and mentally so get ready to climb as it’s pretty much vertical the entire way up and it’s safer to be on your hands and knees than to be standing up. I wouldn’t recommend ever looking down or behind you as it’s not nice and it’s better to keep on going. If you’re lucky like us, you’ll have fellow walkers spurring you on to the top. Eventually, we made it, and by this point, we were very proud - having managed to get up that awful climb in one piece and conquered all three. The top of this peak (Ingleborough) is very moon-like in surface and god was it windy. We walked to other side before heading back down veering off to Horton where we started the challenge. Unlike the torture decline of the second peak, the decline of this was technically fine, in that it wasn’t steep but what we definitely weren’t prepared for was how long it takes from the summit to make it back to the village. I exaggerate from time to time but all 30 us agreed it was the longest walk ever. Every time we thought we close to ending, we hit another hill or gate to walk through and by this point our bodies were in agony, mainly our feet which going over rocks and unsteady painful surfaces wasn’t pleasant in the slightest. It took us all pulling each other through to make it to the end, where I’m extremely proud to say we smashed the challenge and did it in 10 hours. 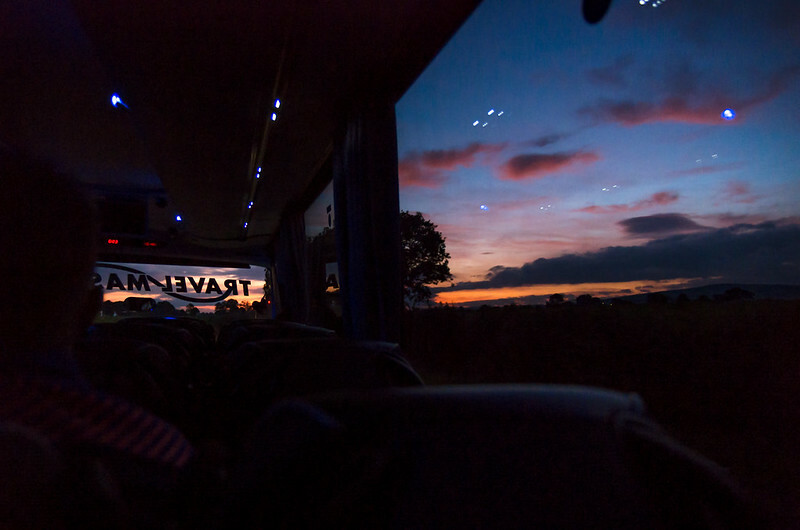 Seeing the village, civilisation and our coach waiting was the best sight to hobble towards. Whilst you can’t be flitting off on 24 hour walks every weekend in preparation, a peak every few weeks is good practice to see if you can handle the incline. 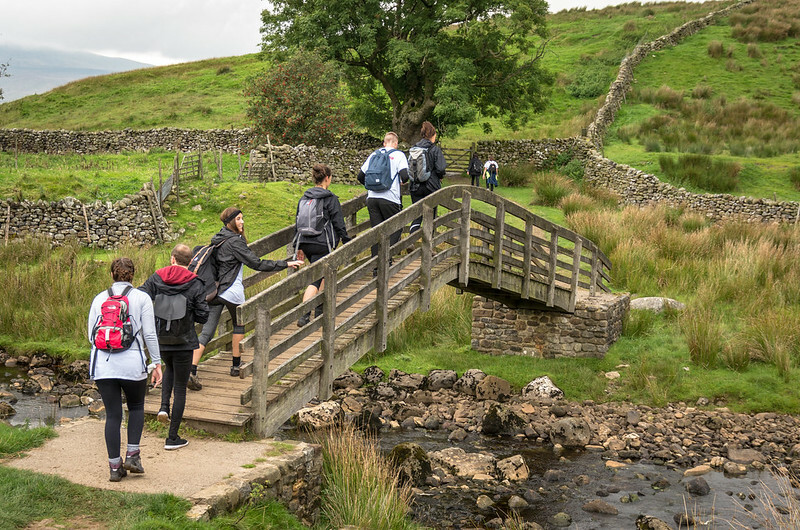 It’s rumoured you can burn around your daily intake doing the challenge so bear that in mind when choosing your diet up to and including the day of the walk. Make sure you carry enough food and water on you to say energised. Okay, so I know this is England and the weather’s a bit up and down, try and pick good weather for the walk. And I don’t mean a nice sunny day, as that can also be a hindrance if it’s too hot. We walked it in 16-17 degree overcast which was actually perfect. I definitely wouldn’t recommend doing it in the rain where possible as it’s treacherous when dry. And I’m not just talking about shoes but they are the most important aspect. Wear them in around the house or few weeks before on practice walks. And get a decent waterproof should you find yourself in a shower storm. Take a hat and gloves should the temperatures drop and nice thick socks. It’s honestly all about the layers. It’s a hard balance between being too cold and too warm so choose wisely. I was in a thin sleeveless vest during every incline but come the top I was adding two tops and my waterproof back on. Have clothes you can easily roll up and fit in your backpack and try and get layers you can easily tie around your waist so you can quickly add and remove layers. Two gadgets I highly recommend: a strong torch and a phone charger (as well as your phone). Part of our group unfortunately got stuck declining the final mountain in the dark so I know from their experience you NEED a torch - it’s the difference between you getting down safely and not. Also in case of an emergency - having your phone fully charged with a portable charger - you never know when you’ll need it. Plus if you don’t wear a watch, you can keep an eye on the time. Whilst we started off as a full group, we didn’t end it together, because quite frankly, it’s impossible to do so. Why? Because your team will have different abilities that by staying as one, you’ll either slow people down or the slower people will feel the pressure to go faster which can cause more damage on their health. From what time you set off to how long you break for and your judgement on what you can achieve, keep constant checks of the time. We did in autumn when the sun comes down just after 7pm so keep that in mind. Use your judgment before climbing up each peak and ask yourself - can I physically do it safely in the light I have left? It’s not worth the risk of getting stuck in the dark. Although I say go at your own pace, stick in a group of at least 2-3 people for not only moral support but for safety reasons too. If something happens to you, you’ll need them with you and when you’re struggling, they’ll spur you on. 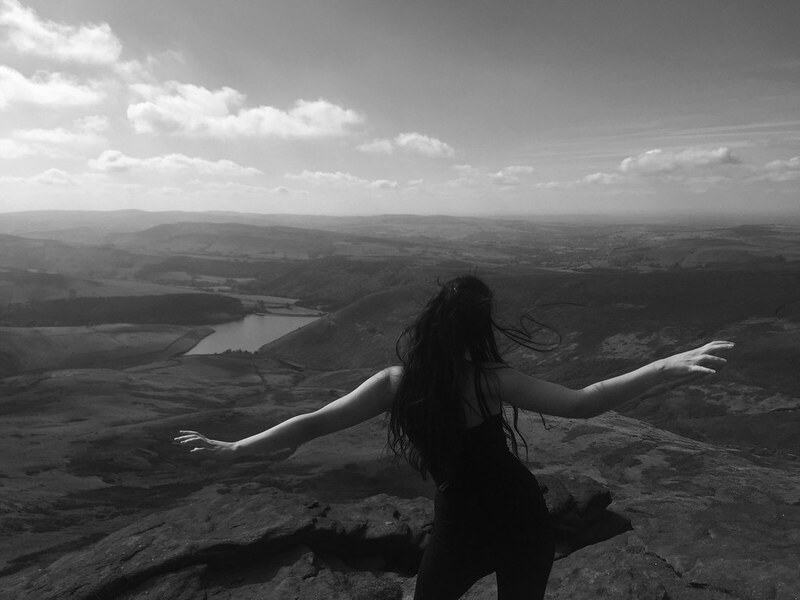 I did the Yorkshire three peaks in June and it absolutely killed me! The weather was terrible for the second half and I started losing the feeling in both legs so I couldn't wait for it to be over! I agree- that never ending road on the last peak was definitely the worst! Absolute torture! Well done for completing it! Oh Wow. This looks incredible. Maybe one day I'd like to give it a go, but I don't know if I'm mentally tough enough let alone fit enough!